Such was the message we gleaned Thursday night, at a small industry event in San Francisco, where we had the chance to sit down with Chris Urmson, the cofounder and CEO of Aurora, a company that (among many others) is endeavoring to make self-driving technologies a safer and more widely adopted alternative to human drivers. Even more telling, perhaps, is the participation of Amazon, which is in constant competition to be the world’s most valuable company, and whose involvement could lead to variety of scenarios down the road, from Aurora powering delivery fleets overseen by Amazon, to Amazon acquiring Aurora outright. Amazon has already begun marketing more aggressively to global car companies and Tier 1 suppliers that are focused on building connected products, saying its AWS platform can help them speed their pace of innovation and lower their cost structures. In November, it also debuted a global, autonomous racing league for 1/18th scale, radio-controlled, self-driving four-wheeled race cars that are designed to help developers learn about reinforcement learning, a type of machine learning. Imagine what it could learn from Aurora. The interest of Amazon, T. Rowe, Sequoia and Aurora’s other backers isn’t surprising. Urmson was the formal technical lead of Google’s self-driving car program (now Waymo) . One of his cofounders, Drew Bagnell, is a machine learning expert who still teaches at Carnegie Mellon and was formerly the head of Uber’s autonomy and perception team. 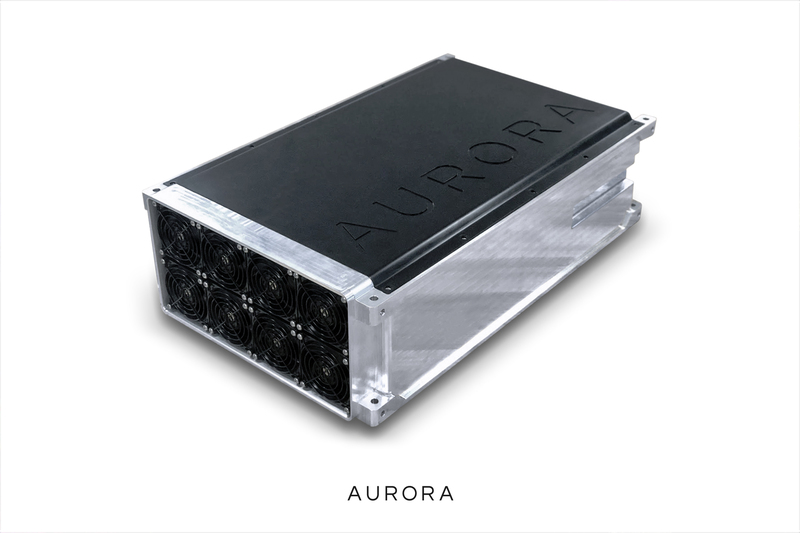 Aurora’s third cofounder is Sterling Anderson, the former program manager of Tesla’s Autopilot team. That suit was dropped two and a half weeks later in a settlement that saw Aurora pay $100,000. Anderson said at the time the amount was meant to cover the cost of an independent auditor to scour Aurora’s systems for confidential Tesla information. Urmson reiterated on Thursday night that it was purely an “economic decision” meant to keep Aurora from getting further embroiled in an expansive spat. Before Thursday’s event, Aurora had sent us some more detailed information about the four divisions that currently employ the 200 people that make up the company, a number that will obviously expand with its new round, as will the testing it’s doing, both on California roads and in Pittsburgh, where it also has a sizable presence. We didn’t have a chance to run them during our conversation with Urmson, but we thought they were interesting and that you might think so, too. Below, for example, is the “hub” of the Aurora Driver. This is the computer system that powers, coordinates and fuses signals from all of the vehicle’s sensors, executes the software and controls the vehicle. Aurora says it’s designing the Aurora Driver to seamlessly integrate with a wide variety of vehicle platforms from different makes, models and classes. 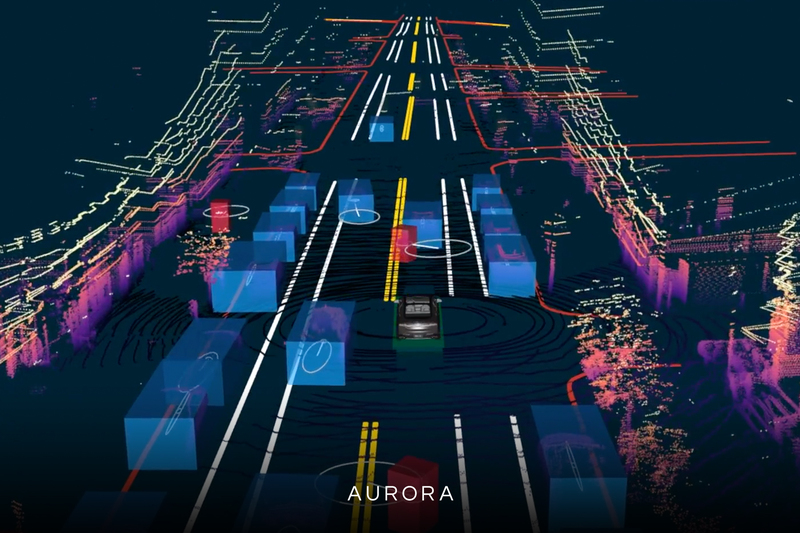 Below is a visual representation of Aurora’s perception system, which the company says is able to understand complex urban environments where vehicles need to safely navigate amid many moving objects, including bikes, scooters, pedestrians, and cars. 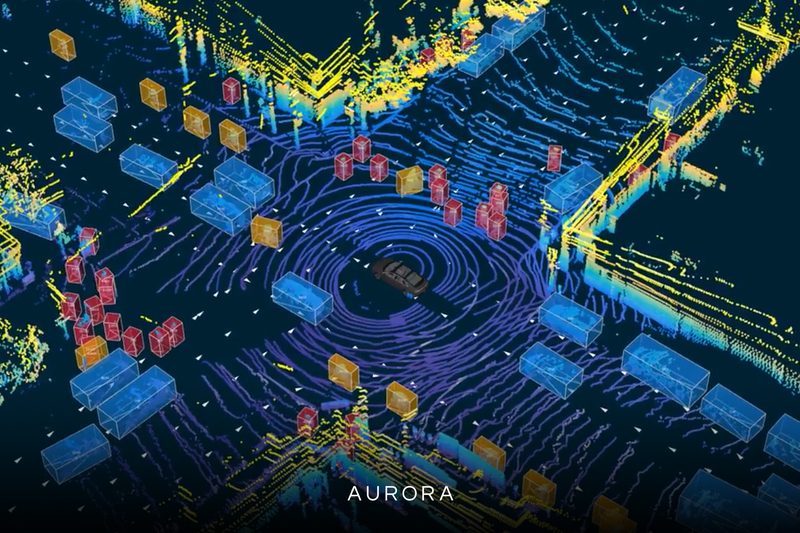 It didn’t imagine it would at the outset, but Aurora is building its own mapping system to ensure what it (naturally) calls the highest level of precision and scalability, so vehicles powered by the company can understand where they are and update the maps as the world changes. We asked Urmson if, when the tech is finally ready to go into cars, they will white-label the technology or else use Aurora’s brand as a selling point. He said the matter hasn’t been decided yet but seemed to suggest that Aurora is leaning in the latter direction. He also said the technology would be installed on the carmakers’ factory floors (with Aurora’s help). One of the ways that Aurora says it’s able to efficiently develop a robust “driver” is to build its own simulation system. It uses its simulator to test its software with different scenarios that vehicles encounter on the road, which it says enables repeatable testing that’s impossible to achieve by just driving more miles. 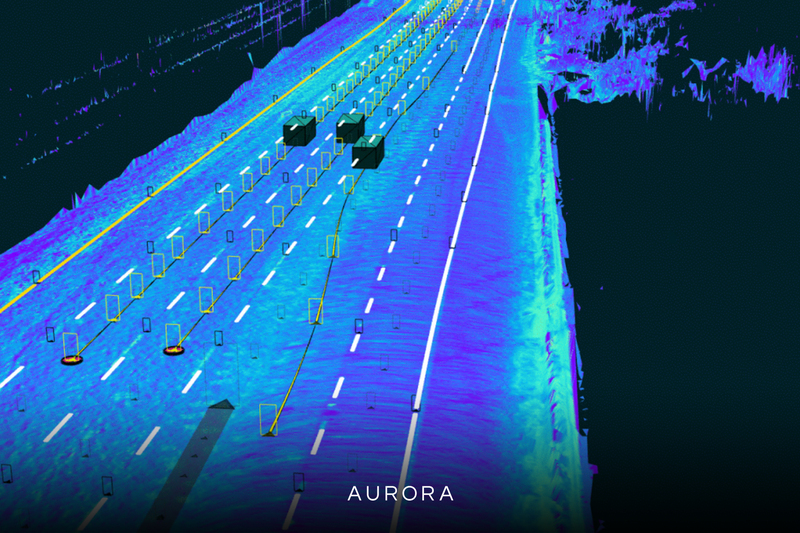 Aurora’s motion planning team works closely with the perception team to create a system that both detects the important objects on and around the road, and tries to accurately predict how they will move in the future. 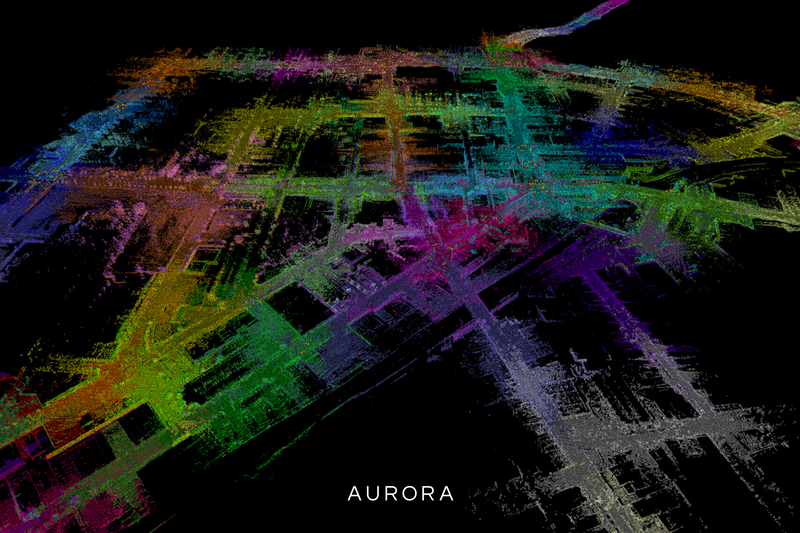 The ability to capture, understand, and predict the motion of other objects is critical if the tech is going to navigate real world scenarios in dense urban environments, and Urmson has said in the past that Aurora has crafted its related workflow in a way that’s superior to competitors that send the technology back and forth. Specifically, he told The Atlantic last year: “The classic way you engineer a system like this is that you have a team working on perception. They go out and make it as good as they can and they get to a plateau and hand it off to the motion-planning people. And they write the thing that figures out where to stop or how to change a lane and it deals with all the noise that’s in the perception system because it’s not seeing the world perfectly. It has errors. Maybe it thinks it’s moving a little faster or slower than it is. Maybe every once in a while it generates a false positive. The motion-planning system has to respond to that. We also asked Urmson about Google, whose self-driving unit was renamed Waymo as it spun out from the Alphabet umbrella as its own company. He was highly diplomatic, saying only good things about the company and, when asked if they’d ever challenged him on anything since leaving, answering that they had not. Still, he told as one of the biggest advantage that Aurora enjoys is that it was able to use the learnings of its three founders and to start from scratch, whereas the big companies from which each has come cannot completely start over. As he told TechCrunch in a separate interview last year when asked how Aurora tests its technology, then it comes to self-driving tech, size matters less than one might imagine. “There’s this really easy metric that everyone is using, which is number of miles driven, and it’s one of those things that was really convenient for me in my old place [Google] because we’re out there and we were doing a hell of a lot more than anybody else was at the time, and so it was an easy number to talk about. What’s lost in that, though, is it’s not really the volume of the miles that you drive.” It’s about the quality of the data, he’d continued, suggesting that, for now, at least, Aurora’s is hard to beat.